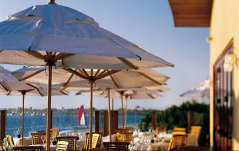 IMC 2007 will take place at the Paradise Point Resort on Mission Bay. The conference hotel is located on Vacation Island in Mission Bay, 5.5 miles north of San Diego International Airport. 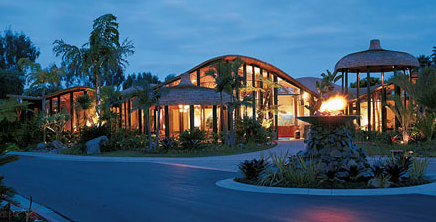 Paradise Point provides a unique conference experience with its bungalow-style single-story rooms that open into lushly landscaped tropical outdoor common areas. 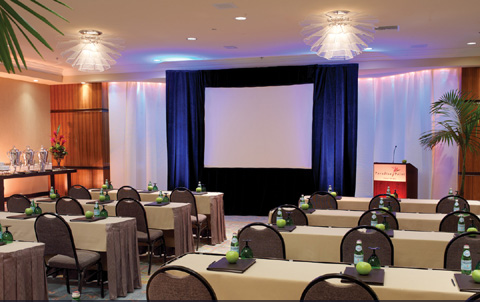 The conference rate is available through September 24, 2007. Reservation requests after the cut-off date will be accepted on a space available basis at the current available rate. The charge for one day (including tax) will be applied for any guest who does not arrive on the scheduled date or who cancels reservation less than 7 days prior to date of arrival. The hotel check-in time is 4pm; the check-out time is noon. 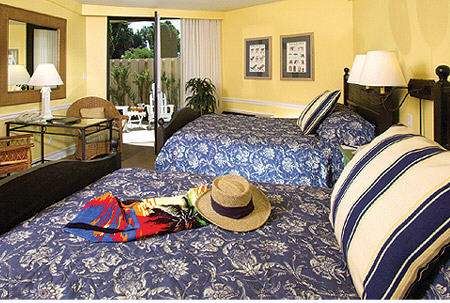 Lanai Garden Guest Rooms feature views of resort gardens and tropical landscaping. Each 460 square foot room includes either one King bed with queen sofa sleeper or two queen beds. Furnishings include - full marble bathroom, free high-speed (wired) Internet access, two-line speaker phone with voicemail and data ports, mini-refrigerator, and more. 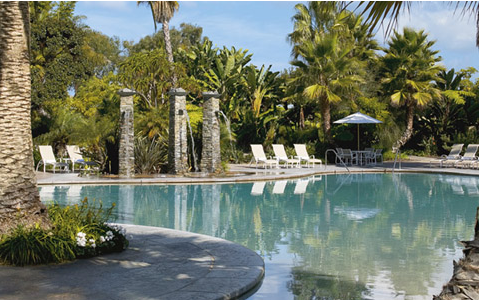 Hotel amenities include five swimming pools (including a lagoon pool), 18-hole putting golf course, tennis and volleyball courts, a full-service marina, two restaurants, a coffee cart, in-room dining, beauty salon, spa, and fitness center. The general session of the conference will be held in the Mission Bay Room. Directions to the hotel can be found on the Travel page. 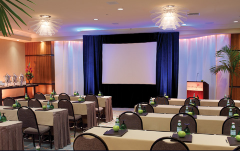 Here are some other hotel options for conference attendees. Orbitz and other similar discount travel sites may have good rates for these and the conference hotel. If you rent a car and drive to the conference hotel, parking during the day is free. San Diego Metropolitan Transit System has bus routes connecting the additional hotels with the conference venue. A map (pdf) of the bus routes nearby is available here. * Note that San Diego buses are not known for running on time, so please allow extra time for if you plan to travel to the conference hotel by bus. San Diego is known for its temperate weather. Typical conditions in late October include highs of 73° F / 22° C, lows of 59° F / 15° C, and average precipitation of 0.02 in / 0.05 cm. Since lunches will be held outside (weather permitting) to allow us to enjoy the good weather and beautiful setting, you may want to consider bringing sunscreen and a hat. For more information, contact cshannon AT caida DOT org.